Genetic changes in the anaplastic lymphoma kinase (ALK) gene have been implicated in several adult and pediatric cancers. While mutations in the ALK oncogene are present in ~14 percent of newly diagnosed patients with high-risk neuroblastoma, ALK mutations are much more frequent at time of relapse. Crizotinib is an ALK inhibitor presently FDA-approved for the management of ALK+ lung cancer. The drug has also been shown to be an effective inhibitor in some (but not all) ALK-driven cancers, including certain lymphomas and sarcomas harboring ALK fusions. 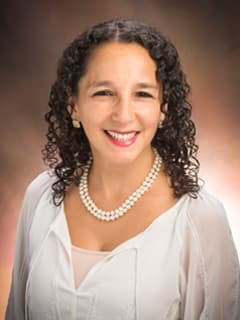 Yael P. Mossé, MD, and researchers at the Center for Childhood Cancer Research have made significant contributions to the discovery and scientific understanding of ALK in neuroblastoma and other childhood tumors, and have conducted both phase I and phase II trials assessing the safety and efficacy of crizotinib in pediatric patients with ALK-driven refractory or relapsed cancers. All of this work has now supported the integration of ALK inhibition for newly diagnosed patients with high-risk neuroblastoma, a Children’s Oncology Group Trial opening Spring 2017. The mechanism of ALK activation in neuroblastoma is quite different from the way it is activated in adult lung cancers. Our lab is focused on elucidating the underlying mechanisms of ALK activation — as well as determinants of sensitivity and resistance to ALK inhibition in order to develop more effective therapeutic strategies in the clinic. We are now focused on optimizing direct ALK kinase inhibition with more modern next-generation inhibitors and have found that Lorlatinib, an ALK inhibitor in early phase development in adults, has potent activity in the neuroblastoma preclinical models. This has positioned us to study Lorlatinib as a single agent and in combination with conventional chemotherapeutic agents in a biomarker-driven clinical trial to open in the NANT (New Approaches to Neuroblastoma Therapy) Consortium Spring 2017. We have shown that the presence of an ALK aberration correlates with inferior survival for patients with high-risk neuroblastoma. The emergence of ALK inhibitors such as crizotinib has provided novel treatment opportunities. However, certain ALK mutations result in de novo crizotinib resistance. We are therefore developing strategies to overcome this problem. One such approach has been to combine crizotinib with chemotherapeutic agents commonly used in treating newly diagnosed patients with high-risk neuroblastoma. This approach has shown to be synergistic and serves, in part, as the rationale for ANBL1531, the phase 3 trial within the Children’s Oncology Group that will integrate crizotinib into the treatment regimen of high-risk patients found to have an ALK mutation. Our collaborators from outside of the Center for Childhood Cancer Research include Mark Lemmon, PhD (Yale University), New Approaches to Neuroblastoma Therapy (NANT) and the Children's Oncology Group (COG).